Ötztal, an alpine valley located in Tyrol, Austria, possesses a wealth of natural treasures and dramatic landscapes, including 250 peaks higher than 3000 meters. With a length of 65 kilometers, it is the longest alpine valley in the whole country, extending all the way to the border with Italy. Thanks to its high elevation and highly suitable slopes, Ötztal is home to some popular ski resorts where the skiing season is quite long (from October all the way to May). Yet Ötztal is not just all about the snow and winter—I have experienced it in fall and it was pretty amazing. During my prolonged weekend, I tried to explore the area as much as possible. 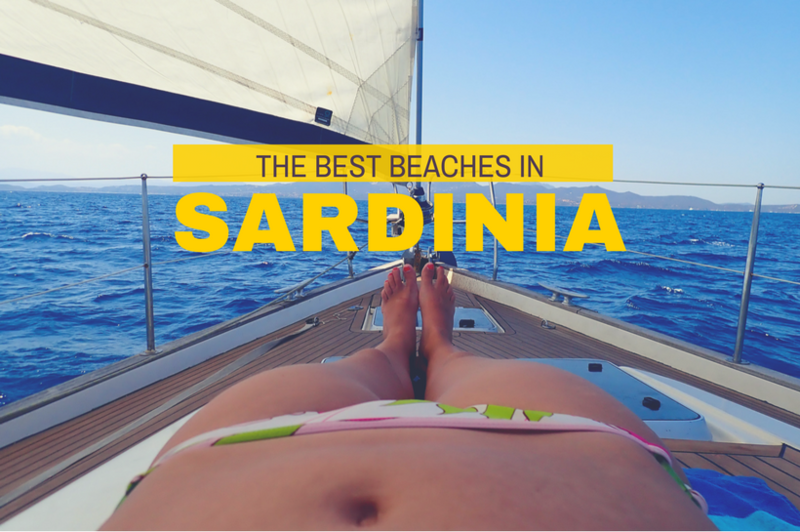 With this guide, you will be able to follow in my footsteps—most of these activities can be easily done in spring or summer, too. 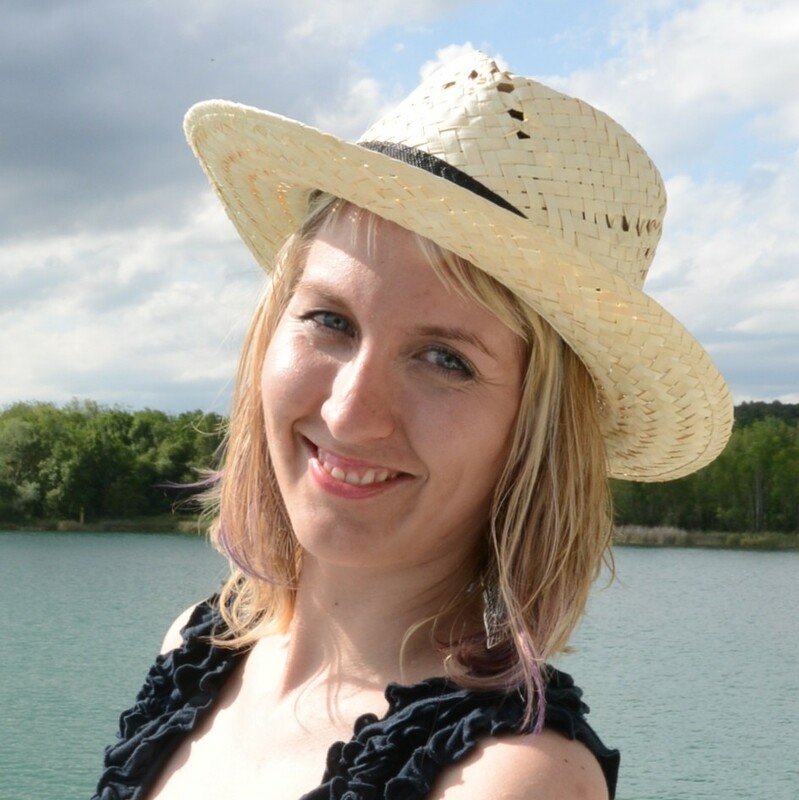 Travelling to Austria? You might be interested in my other post about Vienna in winter. The nearest big city with an airport is Innsbruck. I recommend using Kiwi.com to find the best rates. Innsbruck is well connected with trains and buses. The most convenient station is Ötztal Bahnhof. Alternatively, Munich is just a couple of hours to the north. During the summer, Ötztal valley can be reached overland from Italy as well. During your stay, I recommend staying in Sölden, the most important city in the region. 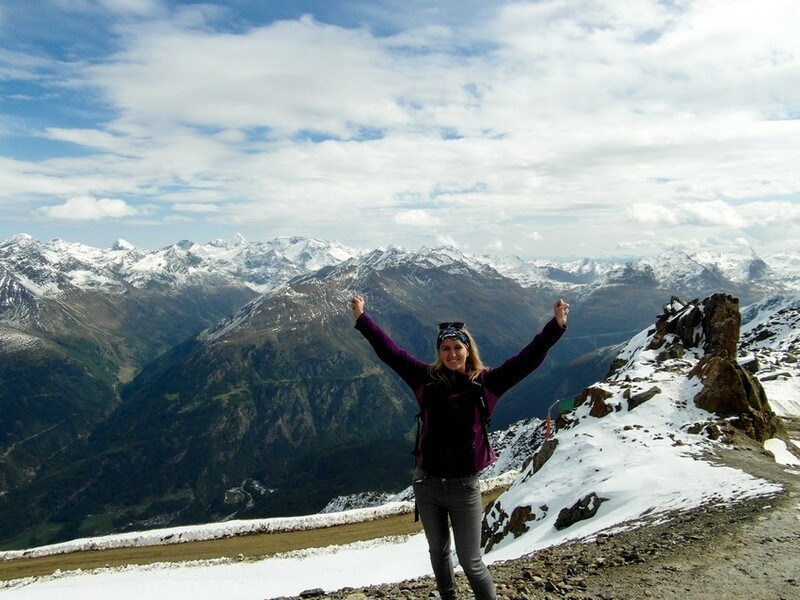 Now you know how to reach Ötztal, so it’s time to start planning your itinerary! I have listed my favorite things to do there. Choose one and go! Area 47 is an adventurer’s paradise and an absolute must-do in Otztal. Spread over 66,000 m2, it is one of the biggest outdoor adventure parks in Europe. Area 47 features an overwhelming range of extreme activities, inducing the highest high-rope course in the world and the highest artificial climbing wall in Austria. I tried to squeeze my visit to Area 47 into one day; in the morning I did whitewater rafting, in the afternoon I spent time in the waterpark, and l after that I tried Flying Fox, a 400-meter-long zip line above a lake. 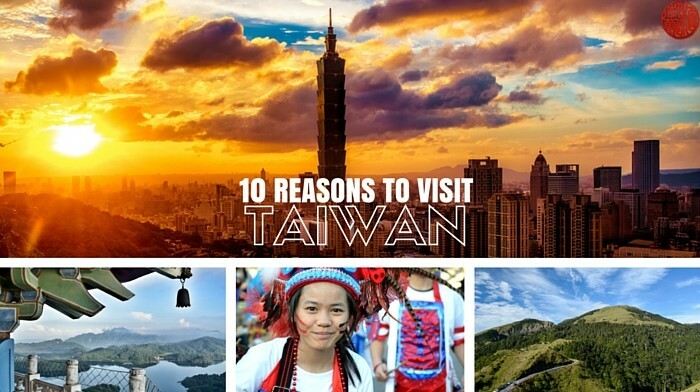 If you have more time and warm weather, you can consider two days and spend the night in the area or in one of the neighboring villages (Haiming is the nearest). Practical information: The park is open from May to October. Flying Fox costs €26 per person. Day passes to the water area start from €24 per person, and rafting tours from €52 per person including equipment and guide. Check out their website for more details. 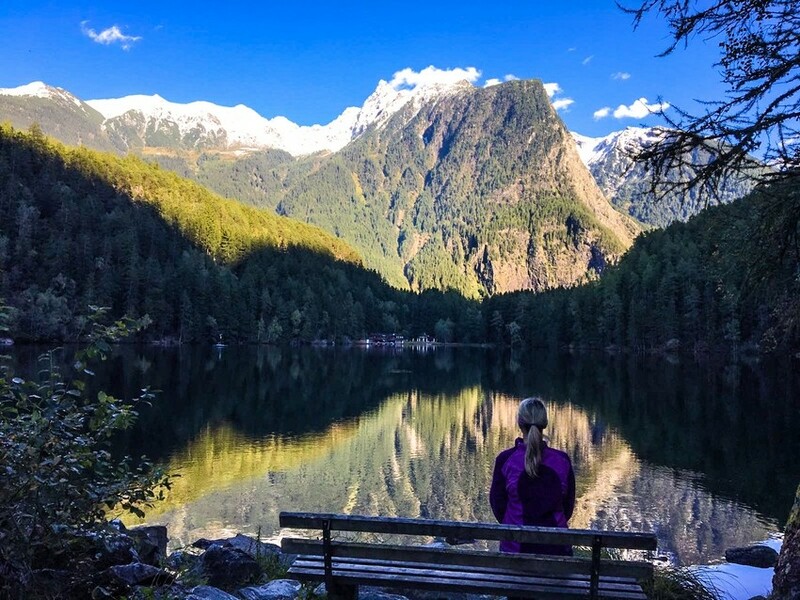 Ötztal Valley is all about beautiful nature, and serene Piburger See is one of the best places to truly experience it. As for me, Piburger See turned out to be the most fairytale-like place I visited on my trip— the lake is so peaceful and so beautiful. Once you see how the trees are reflected on its surface, you will understand why I keep dreaming about this place at night. Despite the fact that it is located at 900 meters above sea level, Piburger See is said to be the warmest lake in the area. I actually planned to have a swim, but by the time I finished cycling to the lake, it was already covered by shadows and was a bit chilly. Autumn is autumn. Well, at least I have something to try next time! Practical information: Getting to this lake is easy. It is located in the vicinity of Piburg village. You can reach the lake in 15 minutes on foot. Keep an eye out for interesting plants and animals—the lake is a natural habitat for many unique species. There are lot of walking and cycling routes in the area, so you can easily spend some more time exploring the surrounding nature park. Entrance is free. Sölden, the main town of Ötztal Valley, is popular with snowboarders and après-ski enthusiasts in winter. However, the beautiful mountain views can be enjoyed all year long! I recommend taking the gondola up to Gaislachkogl, Sölden’s most renowned landmark, at 3,048m. The views are amazing! At the top, you can dine in restaurant with panoramic views—you may recognize it from James Bond. Its rooftop terrace is connected to Gaislachkogl peak by a suspension bridge. If you are fit, you might also opt for a 20-minute walk to the platform on Schwarze, with an elevation of 3,340m above sea level. You can find it above the gondola’s top terminal. Practical information: The gondola runs from an elevation of 1,363m (Sölden town) to 3,040m (Gaislachkogl). The ticket for the gondola costs €37 return. You can find more info about all the gondolas in Ötztal here. 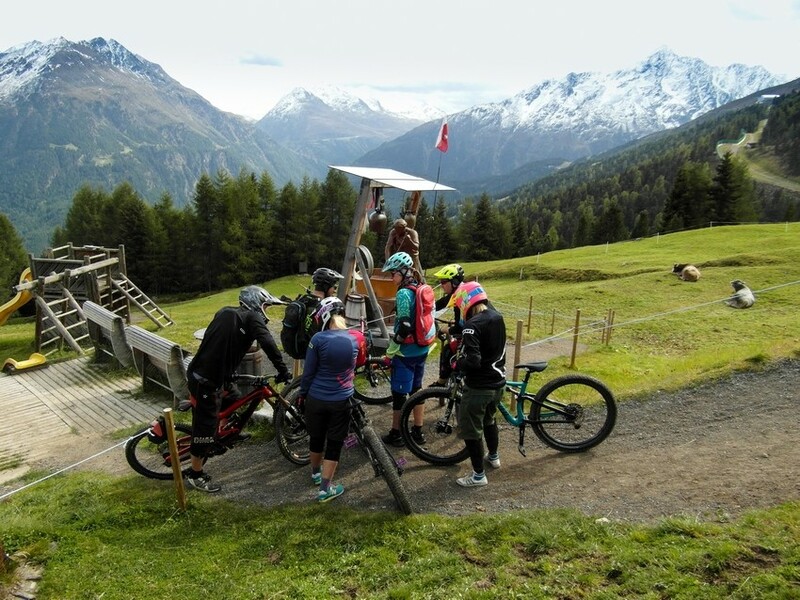 Believe it or not, biking is one of the best ways to explore Ötztal Valley. You can do it the comfortable way (electric bike), the normal way (non-electric bike) or the crazy way like I did: a true mountain biking experience. I have been longing for it for some time, and finally I got to do this the proper way. My trip started at Sölden, where I met my guides and got the equipment, including a giant helmet. We then moved to the outdoor training area to learn the basics such as breaking and riding positions (which are different than for normal biking, as you should stand most of the time). Only when I was able to do these skills, we were able to head to the mountains (specifically a trail named Bikerepublic Solden). Thanks to this training, I felt more secure and even tackled an advanced route later that day. Practical information: If you are new to mountain biking, I recommend the guides from Bikeschool Ride On. They focus on correct technique and safety. The prices are customized for each trip, and they also do guided e-bike tours. Find more info on their website. 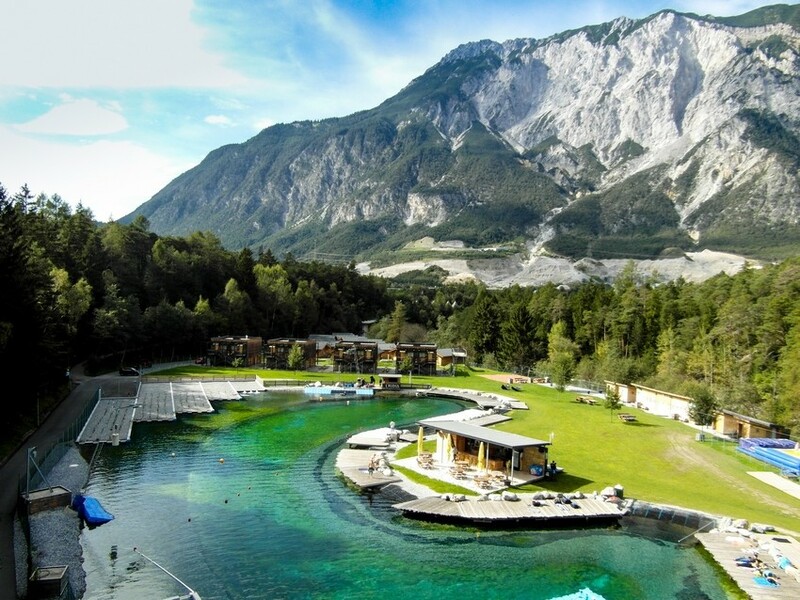 After all those adventurous activities it is a good idea to relax the body and mind, especially when when one of the most unique and spectacular thermal spas in Austria in nearby. Futuristic Aqua Dome includes Sauna World, a relaxation area, and 12 pools. Altogether its area spans 22,000 m2. 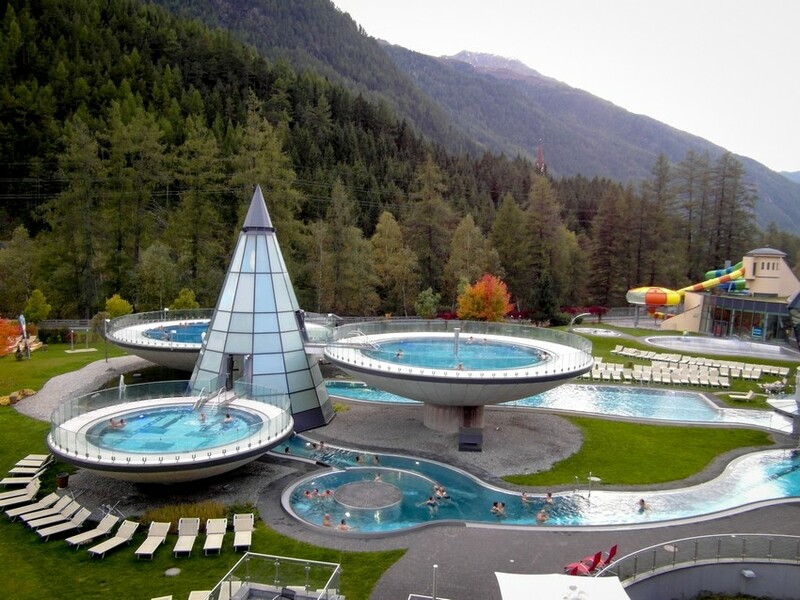 I have completely fallen in love with the outdoor area, especially with its three futuristic pools that almost seem to be floating in mid-air, connected to each other by a luminescent glass cone in the shape of a crystal. It is pretty amazing to have a bath and enjoy 360° views of the mountains at the same time. Practical information: Price: a three-hour ticket starts at 20,50 euros, full-day ticket starts at 27,50 Euro. Price depends on the season. Check the detailed info on the Aqua Dome website. Despite the fact that I did it on the last day of the trip, climbing the Stuibenfall waterfall was absolutely the highlight of my Otztal Valley experience. 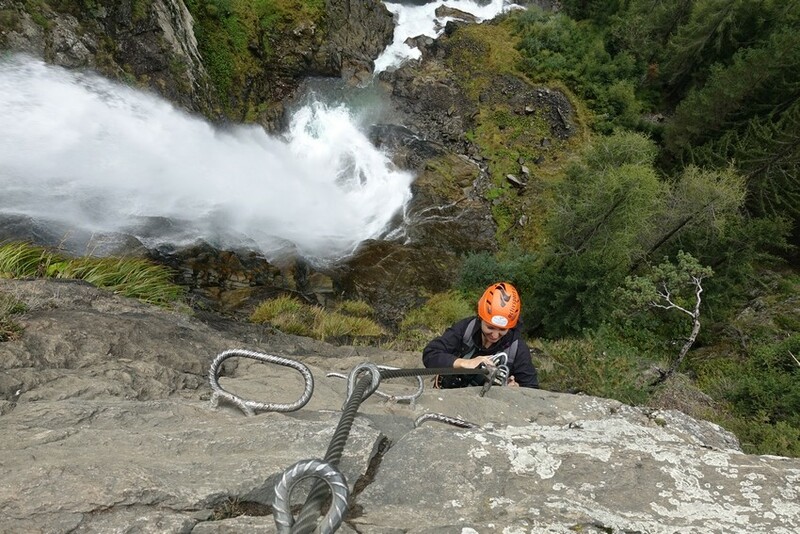 No wonder it is said to one of the most beautiful and impressive via ferrata climbs in Tirol. I can confirm this! Stuibenfall is Tirol’s highest waterfall (160m) and the climbing route runs up a steep towering rock wall just next to it. Towards the end, one has to cross the waterfall at the highest point on a rope bridge. I have experienced many adrenaline rushes in my life, but when climbing this part I literally felt my heart in my throat. Practical information: The route has a difficulty of C—it starts out easy but gradually gets more difficult. For beginners, I recommend going with a guide. In case this ferrata is too difficult, you can alternatively reach the waterfall via a hiking path with numerous viewing platforms. At the end, there is an 80-meter-long suspension bridge leading to the source of the waterfall. Tirol has amazing outdoor potential—every time I come back I try to do something new. Cycling, climbing, biking…almost all outdoor activity I can think of are there. I wonder whether you like to visit the mountains besides for skiing vacations. And what is your favorite outdoor activity? If you enjoyed it, please consider sharing it on Facebook. Disclaimer: I took part Social Travel Summit held in Kitzbühel. My further travel in Tirol was in cooperation with Ötztal tourism. All opinions are, as always, my own. Ötztal Valley is so picturesque and breathtaking. I fell in love with it from seeing your pictures. Are there any good hiking trails? Climbing the Stuibenfall waterfall? That seems like a once in a lifetime experience! I don’t think I’m brave enough to do that, but I’ll definitely do the hiking trail! What a gorgeous place! I’m not a climber at all but you must have such a sense of accomplishment after reaching the top and getting that great photo! The view is stunning! This area looks beautiful! Would love to sit and relax with those views and play in the pools. I would be taking to the footpath to the waterfall for sure! What a place, almost as beautiful as the High Tatras 🙂 I’d go for the nature activities over artificial parks (Area 47, is that like the Austrian Area 51?). Hiking and mountain biking would be my jam. 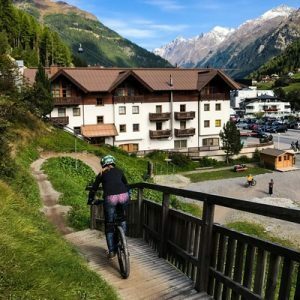 The Ötztal valley sounds wonderful – I really enjoy hitting up ski regions but in the summer – there’s always the most incredible scenery and hiking opportunities. 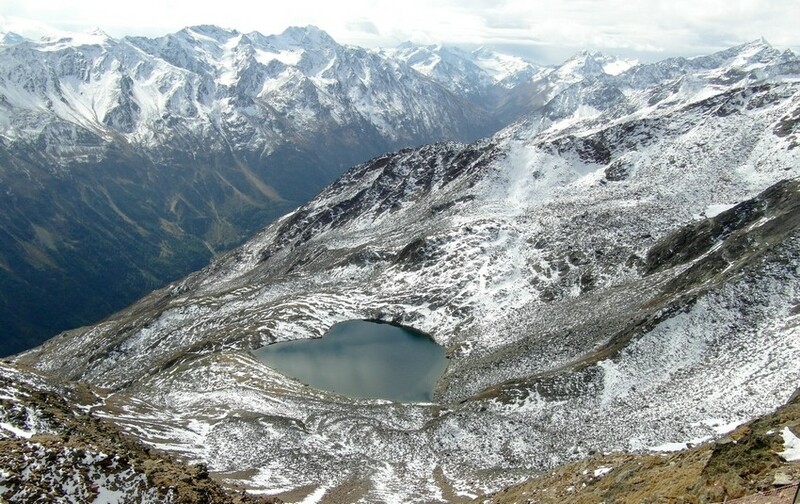 Piburger See looks beautiful, and I would love to get some mountain hiking in at Sölden. But climbing the Stuibenfall waterfall sounds like it would be a huge highlight – that photo of you is incredible!!! Oh. My. Gosh. 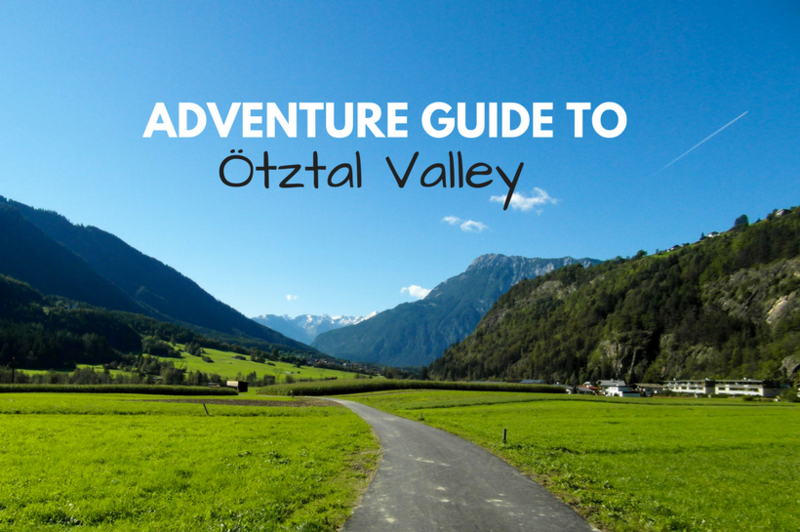 I’ve never heard of Ötztal Valley, but now it’s at the top of my list! My favorite outdoor activity is hiking and it looks like there’s plenty of it here! Stuibenfall Waterfalls looks like an amazingly epic adventure. I have to get here and start exploring!